The Carriagehouse range of equestrian insurance policies, coupled with their many years experience, ensures that they can offer an unequalled service to meet your specific insurance requirements. In addition, most horse &/or equipment claims are dealt with in-house and can normally be settled within a few days of receipt of the completed claim forms and the associated bills. ​Carriagehouse Insurance Services have been a long time supporter of SHHT and we are extremely grateful for their continued support. Being a specialist underwriting syndicate at Lloyd’s, the world’s insurance market, Ark insures equine risk across the full spectrum of higher value horses. Supporting Stratford Hills Horse Trials gives Ark the opportunity to engage with competitive individuals and their horses much like our own culture of partnership, risk and reward. Long standing sponsors of numerous British Eventing venues around the East of England, Ames Nissan has become well regarded, respected and a firm favourite for many. Offering exceptional service when buying used or new cars, and outstanding after sales service from their base in Thetford. We thank Richard Ames and his team for their continued and much valued support. Suffolk Community Foundation is a member of a national network of charities that provides grant funding to local voluntary and charitable organisations within Suffolk. They work closely in partnership with individuals, companies, statutory organisations and professional advisors to develop funds that have enabled them to award over 600 grants totalling almost £2.5 million over the past year. They connect causes that matter with people who care. 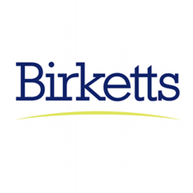 We welcome Birketts back for another year of sponsorship, which we are very grateful for. Birketts is a full service, top 100 UK law firm, based in the East of England, with offices in Cambridge, Chelmsford, Ipswich and Norwich. With a rich heritage spanning over 150 years they’ve built an enviable track record advising businesses, institutions and individuals in the UK and internationally. Le Talbooth Restaurant was discovered by the late Gerald Milsom in 1952, when it was just a simple tearoom with a superb location by the River Stour. Several years later, in 1969, Gerald bought Maison Talbooth and established it as a luxury hotel. Savills have over 150 years of experience helping people and property get together, to make sure your journey journey runs smoothly form start to finish. Savills is a global real estate services provider listed on the London Stock Exchange. They have an international network of more than 600 offices and offer a broad range of specialist advisory, management and transactional services to clients all over the world. Phillips Brothers Wood Shavings take pride in considering local horse owners requirements for quality, competitively priced horse bedding direct from the manufacturer. We have taken into account accessibility, storage and cash flow demands and introduced a van delivery service, delivering throughout East Anglia. This service is free of charge for orders over 25 bales. Churchmanor have developed over two and half million square feet of commercial accommodation encompassing offices, business and industrial parks, town centre and edge of town retail, shopping centres and research and development facilities. Devoucoux is wholeheartedly dedicated to the partnership between horse and rider, and has been working to promote it since 1985. Their saddles and accessories require the expertise of six different trades (master crafts) within the saddlery profession. "New England Building Services are proud sponsors of the Stratford Hills Horse Trials and their deserving charity. Being a local Building Company focusing on high quality, reliable and efficient service. Carrying out works to listed properties, Barn conversions, New build and Refurbishment of existing buildings. With a handpicked team of high classed tradesmen we are therefore able to deliver projects far beyond our clients expectations." Founded in 1968, they are a local builder of quality new homes in East Anglia, building throughout Suffolk, Cambridgeshire and Essex. Reason homes are immensely proud of the important contribution that the company has made over the years to affordable housing the region. At Lynton Homes they specialise in creating thoughtfully designed, good quality homes. offer the perfect mix of quality, lifestyle and location. Thompson Smith and Puxon (TSP) Solicitors provide a range of legal services for individuals, business clients and organisations. Their skilled and experienced team of lawyers have specialist legal knowledge across a broad spectrum of the law. They continually invest in staff development and new technologies and are responsive and adaptable to their clients' needs. Schofield Removals are a family run firm based in Suffolk and Essex and provide local, national and international removals. The reason for this removal company’s continuing prosperity, is its inherent willingness to help customers, its culture of flexibility and resourcefulness and customer centred approach to business. Handelsbanken Colchester are proud to sponsor the Stratford Hills Horse Trials. at the Colchester branch. Our simple aim is to provide the best possible service to our customers. location, dominated by the former Tudor palace of Beaulieu – once owned by Henry VIII – and surrounded by a historic park and gardens. “Jim Lawrence Ltd would like to give their support to the Stratford Hill Horse Trials and the charities that it has pledged to help." EquiConsulting - Getting you one stride ahead. Business, Marketing and Management consultancy and services aimed at the niche equestrian, country and rural markets. ​Supporting SHHT with website development, PR and Marketing services. 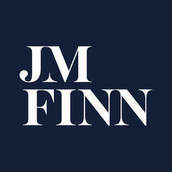 J.M.Finn offer a high quality, personalised investment management service that aims to meet the individual demands of today’s private and professional investors. Designed to help guide their clients through the increasingly complex investment world, their personalised approach draws on traditional client service values in a world where individual investment manager discretion is often replaced by a process-driven response. Barker Gotelee welcome clients warmly and listen to any concerns or worries. They then tailor an approach that they believe will best suit your situation. Their reputable and friendly service is matched by their ambition to get outstanding results for their clients, whether they are facing a business dispute or a more private issue. Designers and makers of bespoke lifestyle gifts with handpicked accessories. Apatchy is proud to support Stratford Hills Horse Trials and the Marie Curie Nurses. "We wish all competitors the best of luck, especially our sponsored riders Tamsin Drew, Fielding Eventing, Katherine Cross and Maddie Taylor."